And I'll turn right back around. 景気回復、この道しかない = "To Economic Recovery、 This is the One and Only Way"
and that is for the same reason anything would have to be repeated, over and over again. Margaret Thatcher: "There is no alternative." 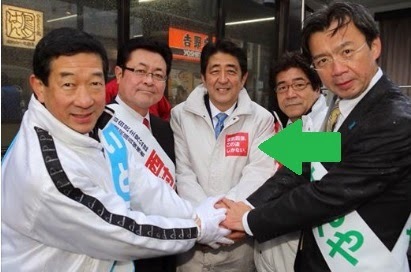 There's only one way that will keep the LDP and their minions' fingers deep in the pie, anyway. There are several other ways that would actually improve the lives of everyone in the country, but since that would mean a few families have to forgo their seventeenth besshou in Karuizawa and a few old men have to actually pay for their servicing by university students, we're stuck with "the only way". On a related point, I'm currently stuck halfway through the fourth volume of Shizumanu Taiyou, because the descriptions of the attitudes and actions of said old men make me too angry to keep reading. "Struggling Sony to cut pay even as PM Abe calls for higher wages"
"Japanese bankruptcies linked to yen hit record high"
Makes these slogans extra ironic. 2016 or (and) bust ! 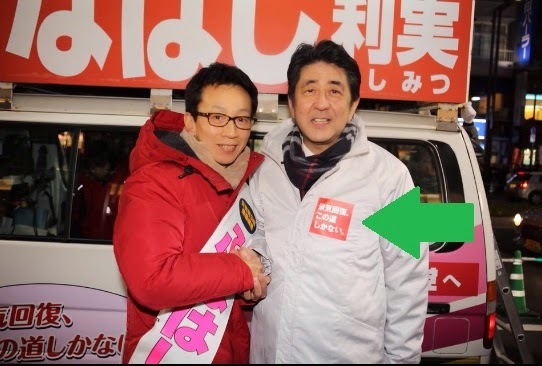 For a while, I thought Abe has replaced Novak Djokovic as the new spokesperson for Uniqlo winter jackets. Seeing that bright red slogan, it led me thinking. Normally, you would associate the colour red with progressive parties and blue with conservative parties. The Americans are the first to go against this trend, with the Republicans in red and Democrats in blue (hence Red States and Blue States). 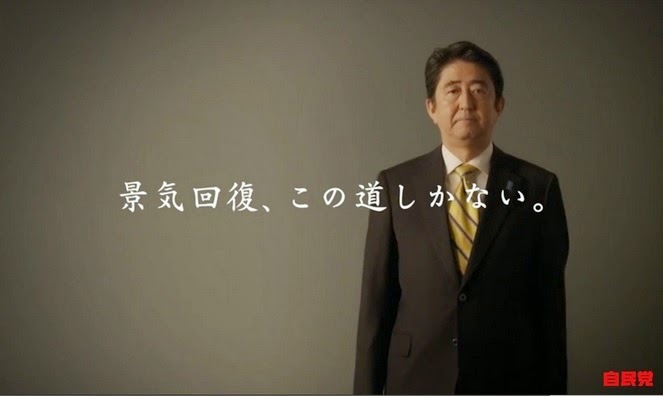 And now it seems, Japan is becoming the second country to follow this American trend. 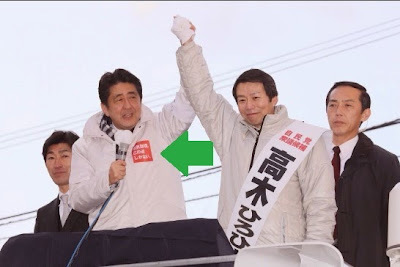 With the media labelling the LDP red and the DPJ blue in recent elections. 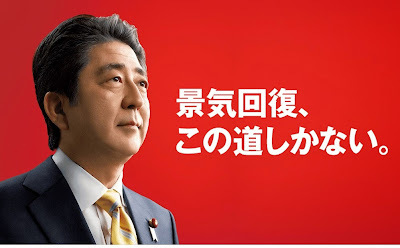 To the point now that even the LDP has adopted red as their semi-official colour, even though the DPJ's logo is still bright red.